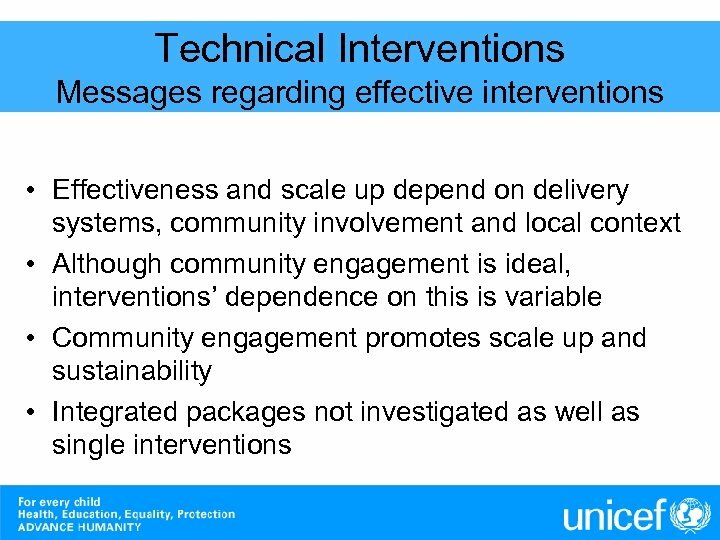 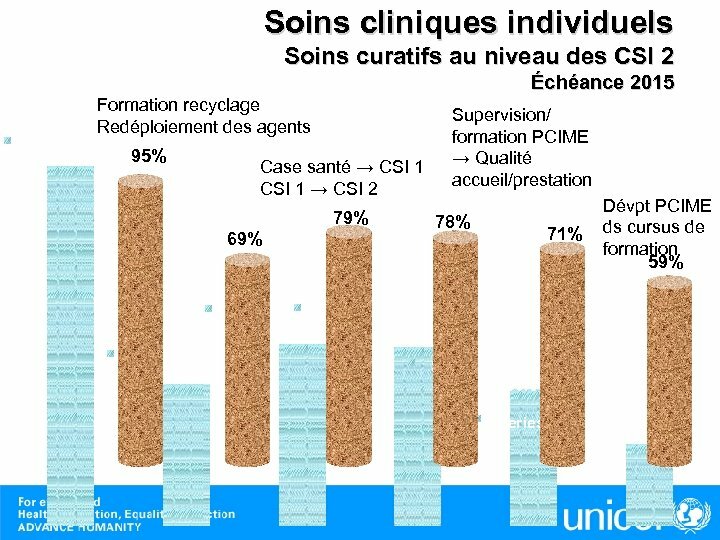 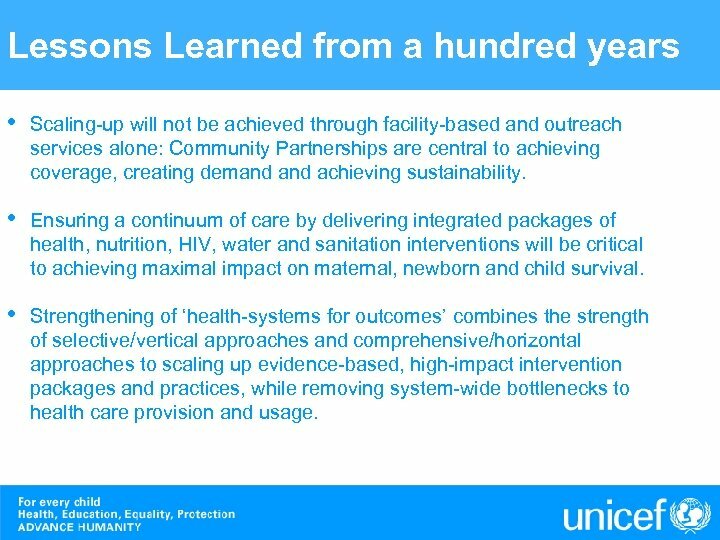 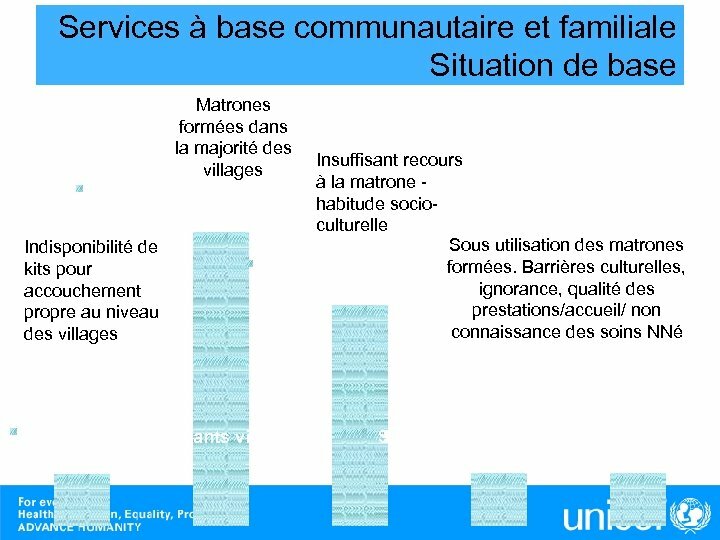 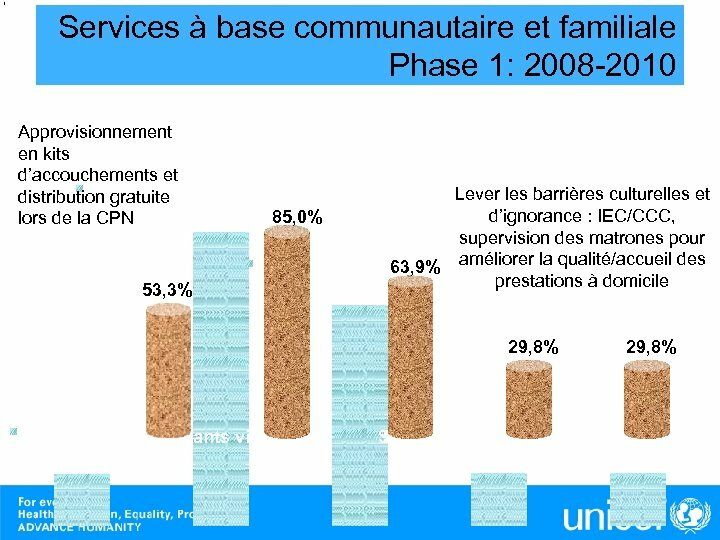 Lessons Learned from a hundred years • Scaling-up will not be achieved through facility-based and outreach services alone: Community Partnerships are central to achieving coverage, creating demand achieving sustainability. 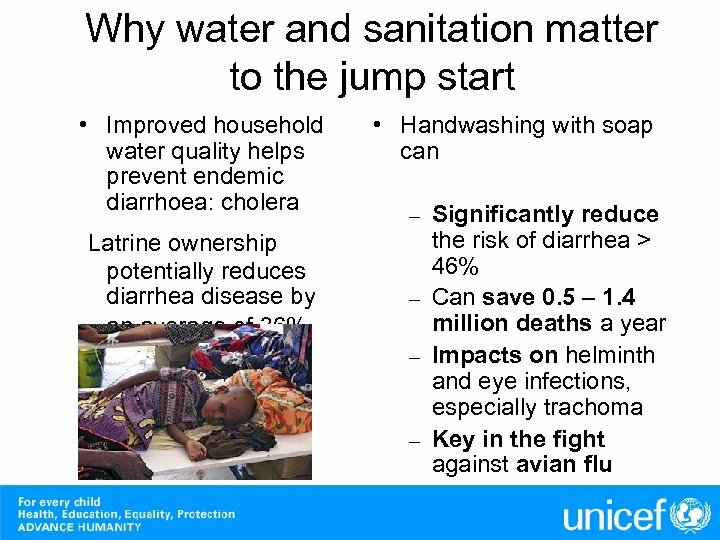 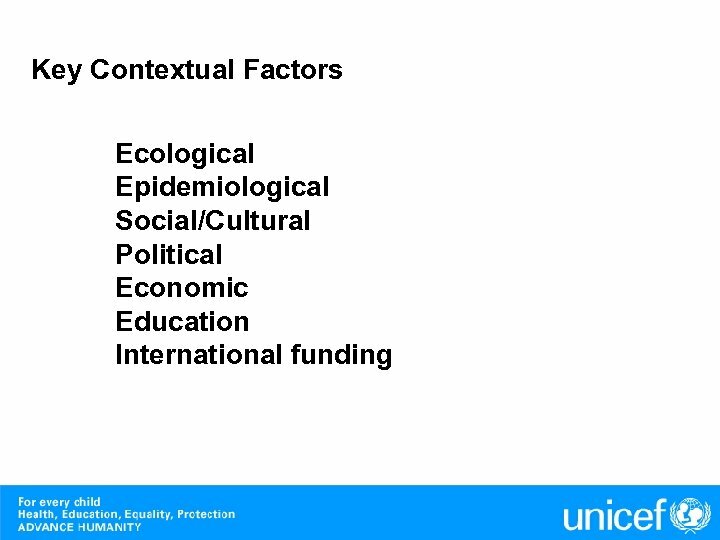 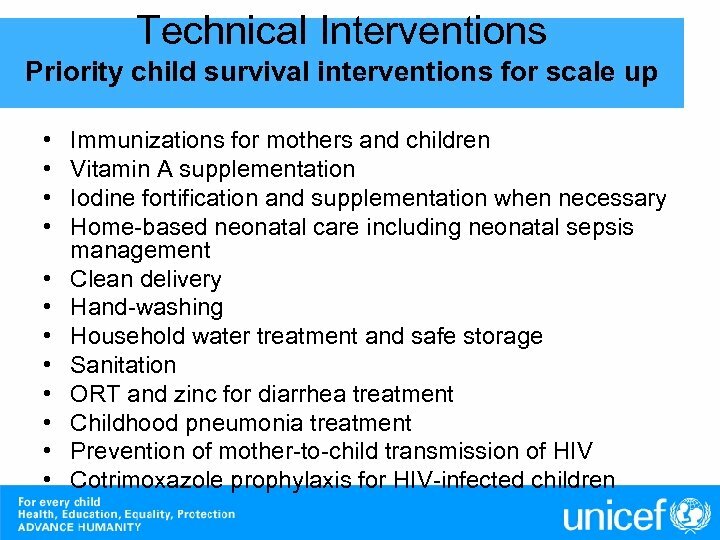 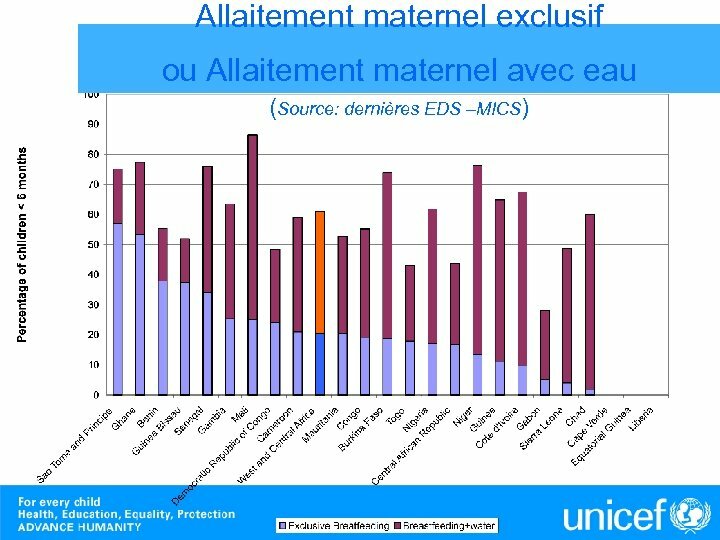 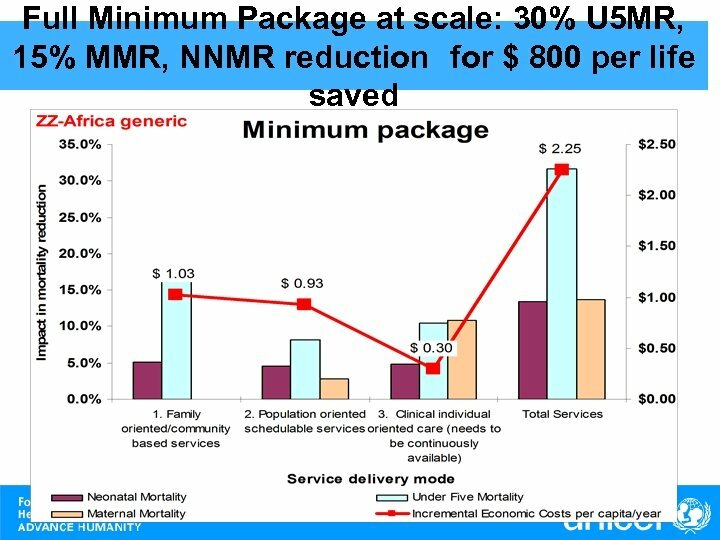 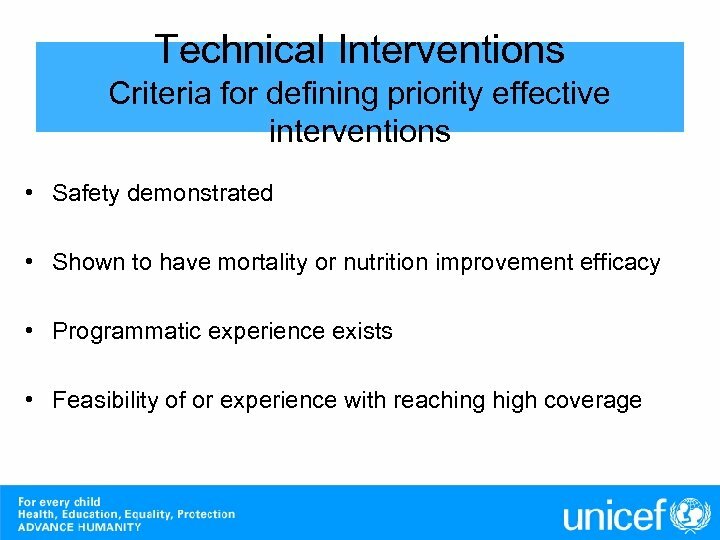 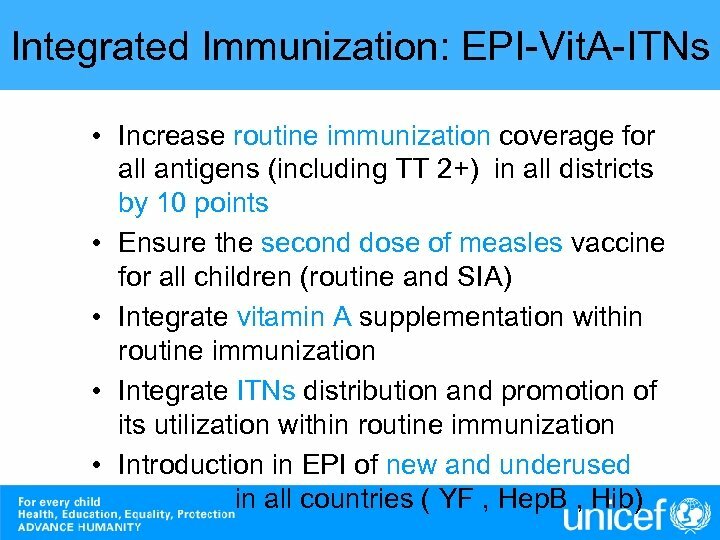 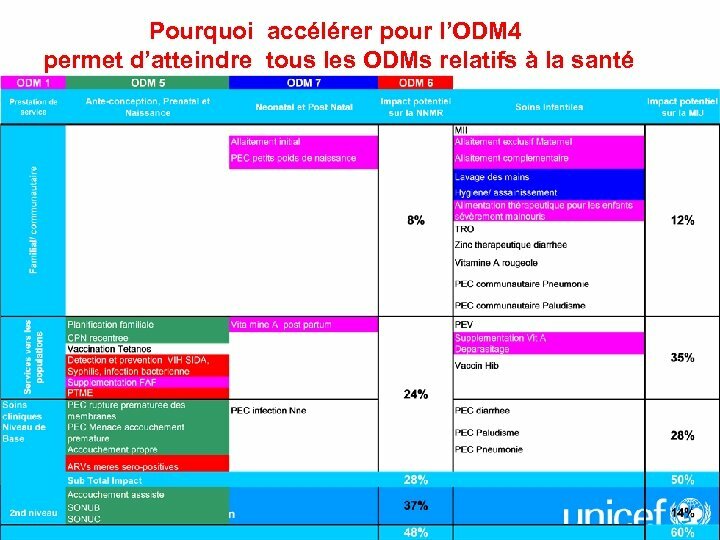 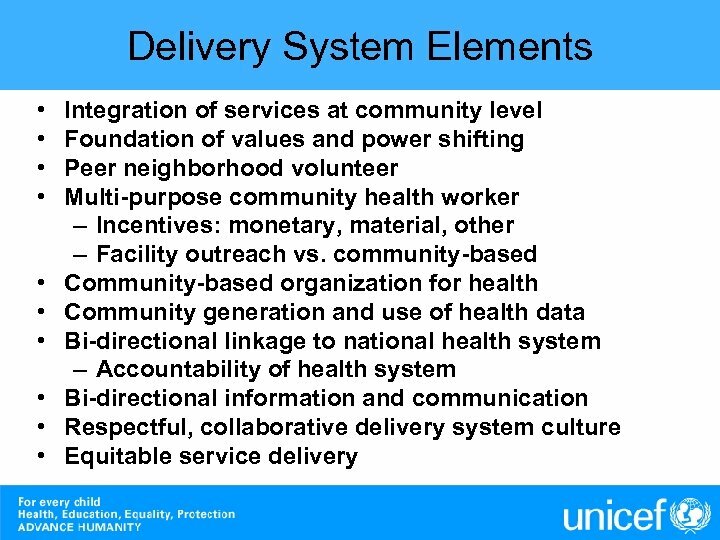 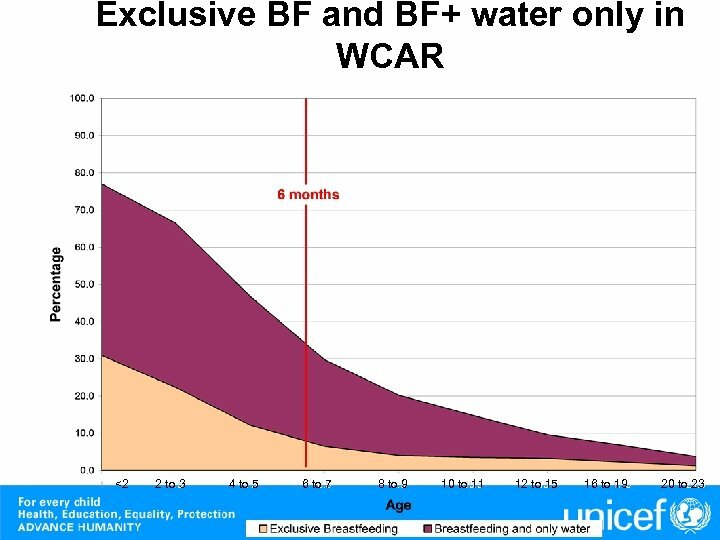 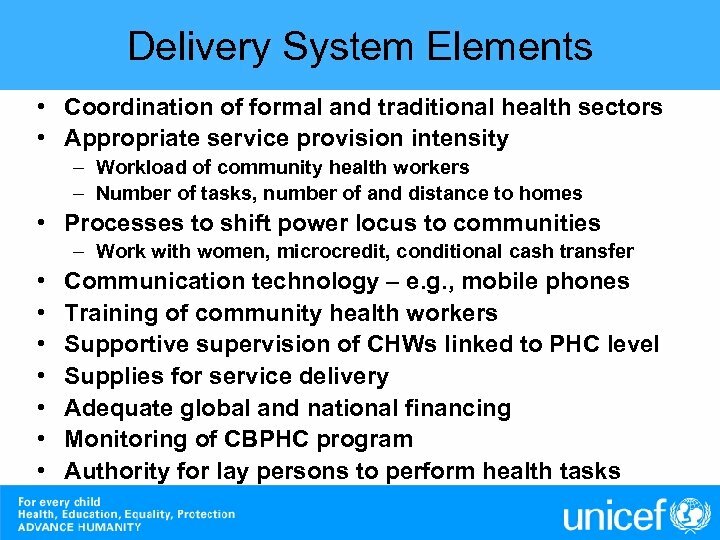 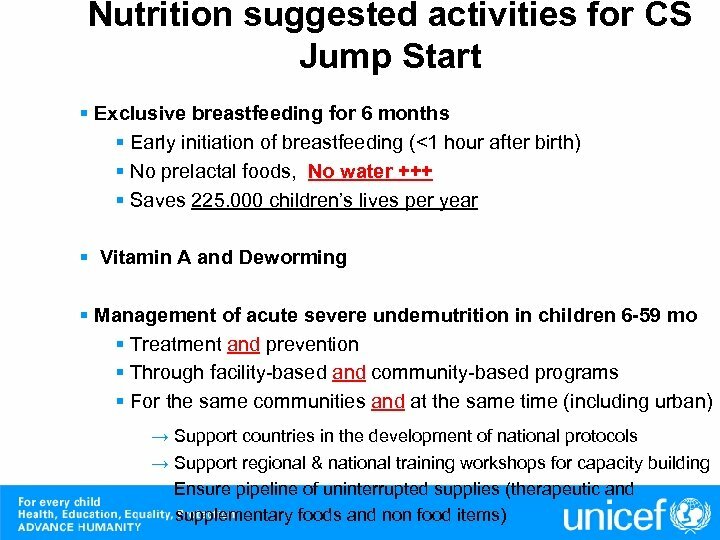 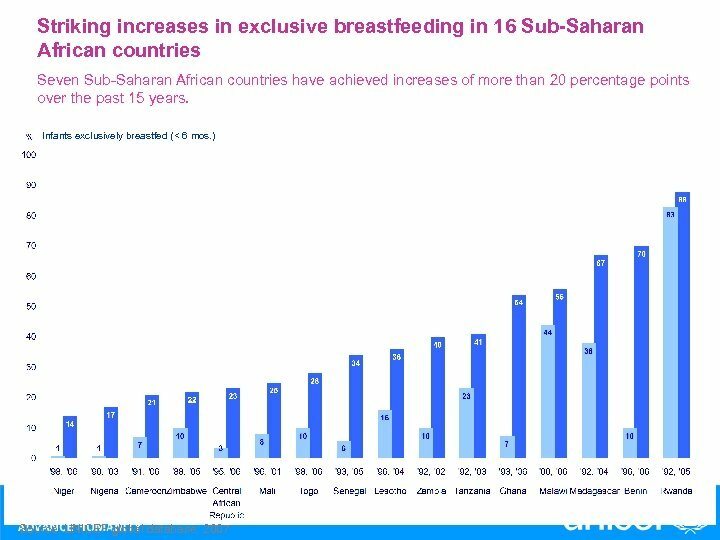 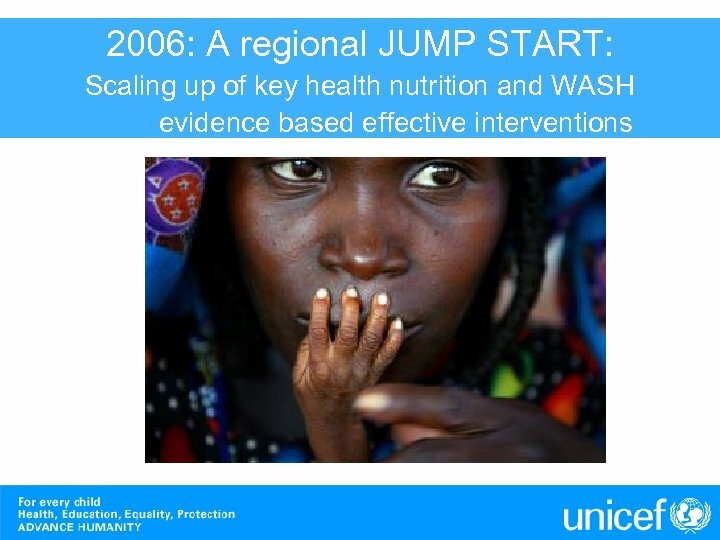 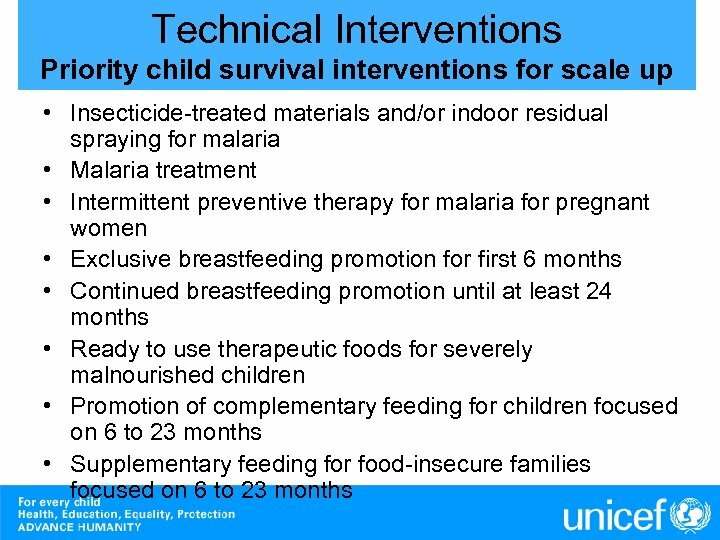 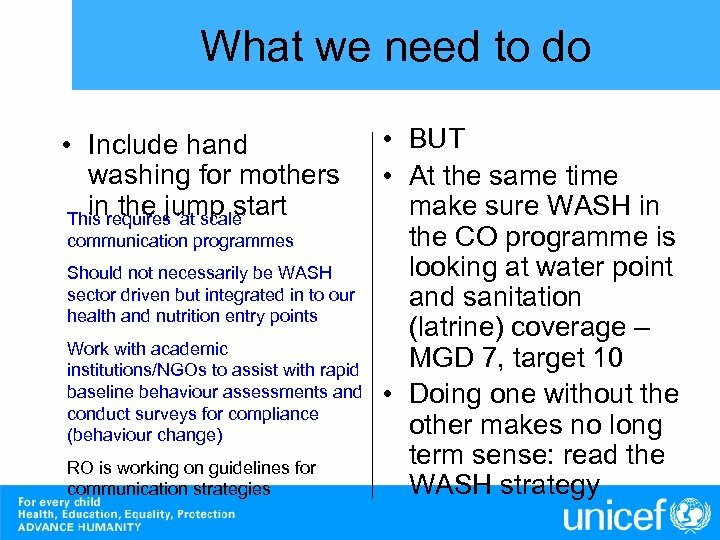 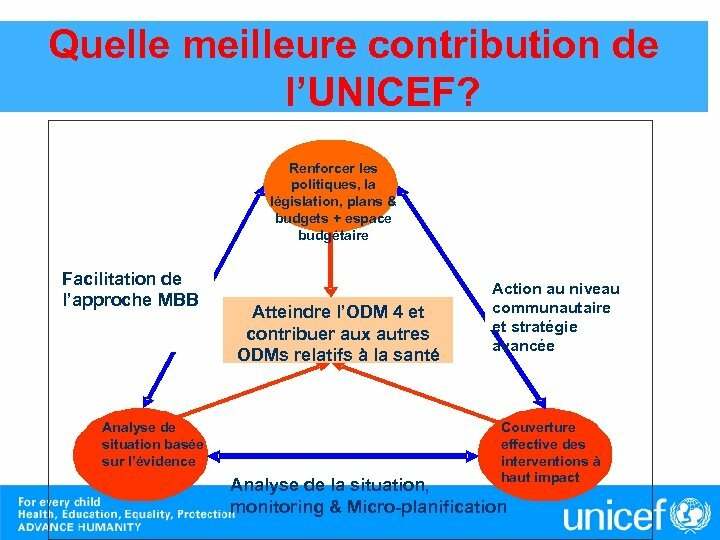 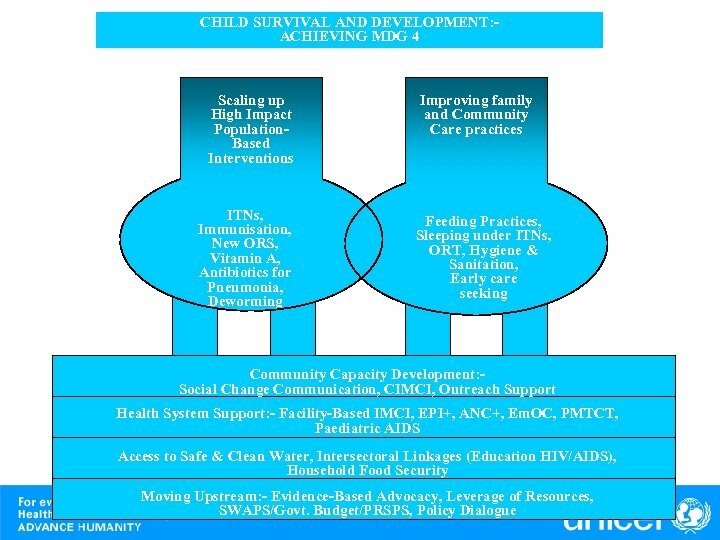 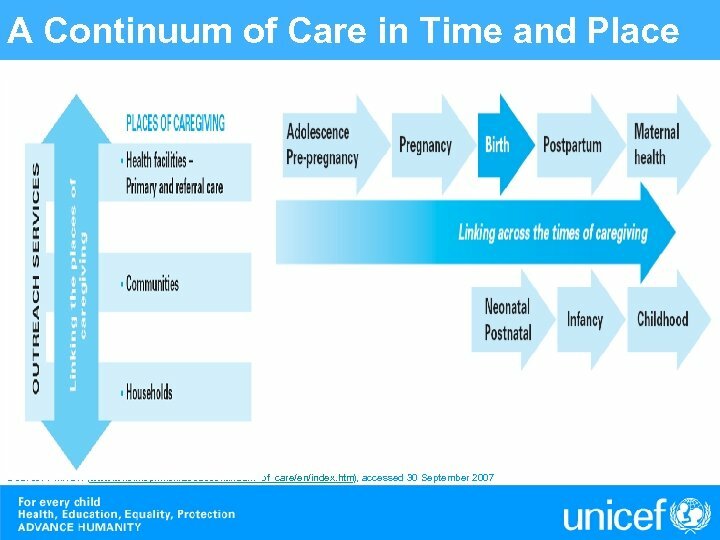 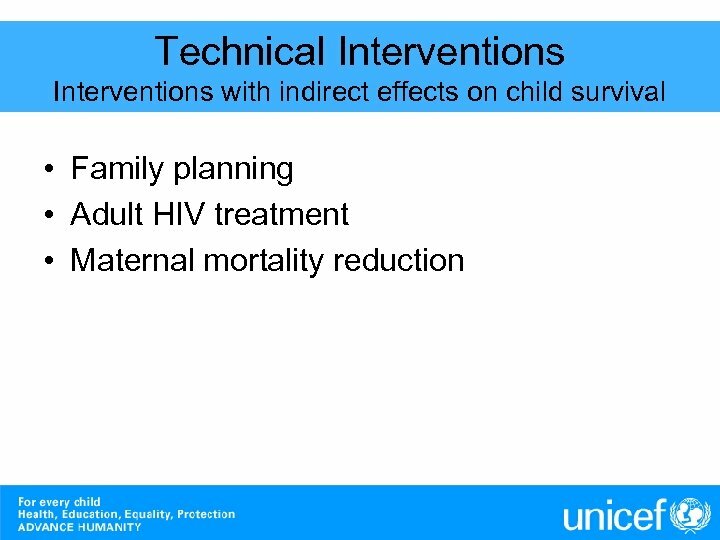 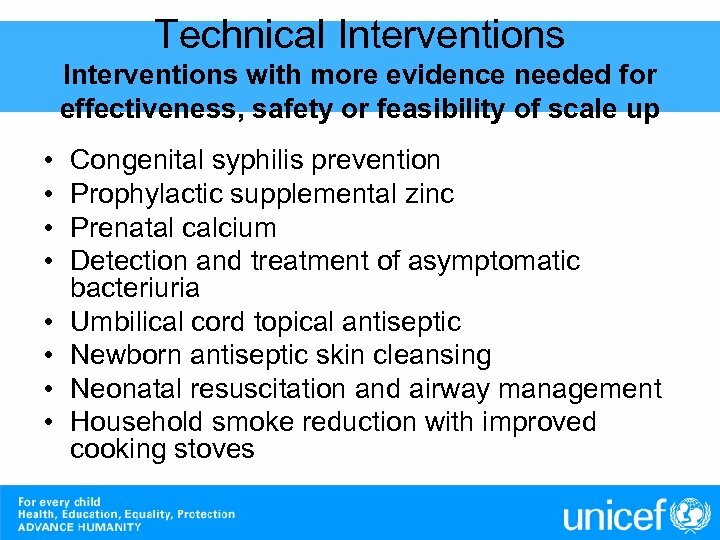 • Ensuring a continuum of care by delivering integrated packages of health, nutrition, HIV, water and sanitation interventions will be critical to achieving maximal impact on maternal, newborn and child survival. 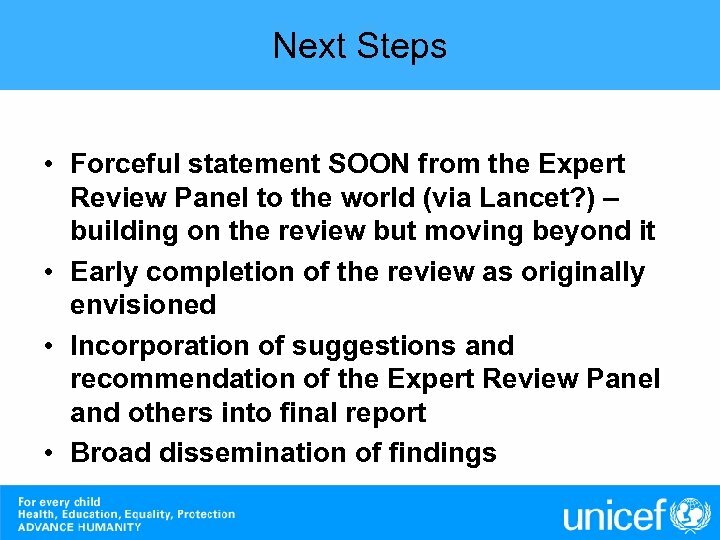 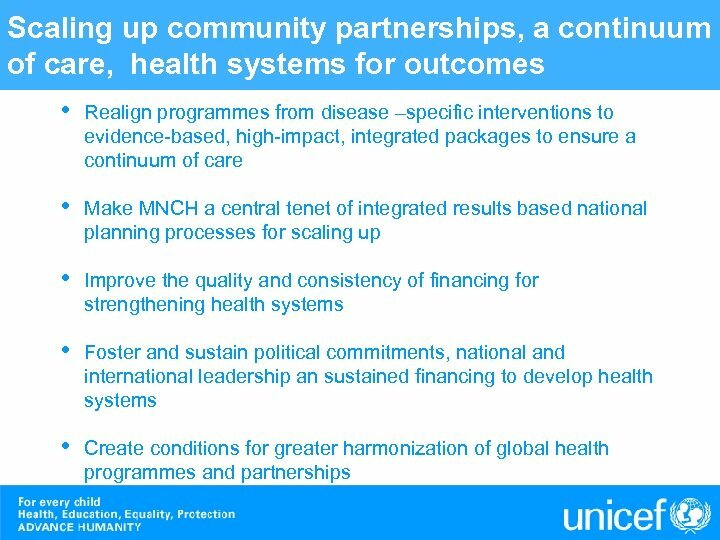 • Strengthening of ‘health-systems for outcomes’ combines the strength of selective/vertical approaches and comprehensive/horizontal approaches to scaling up evidence-based, high-impact intervention packages and practices, while removing system-wide bottlenecks to health care provision and usage. 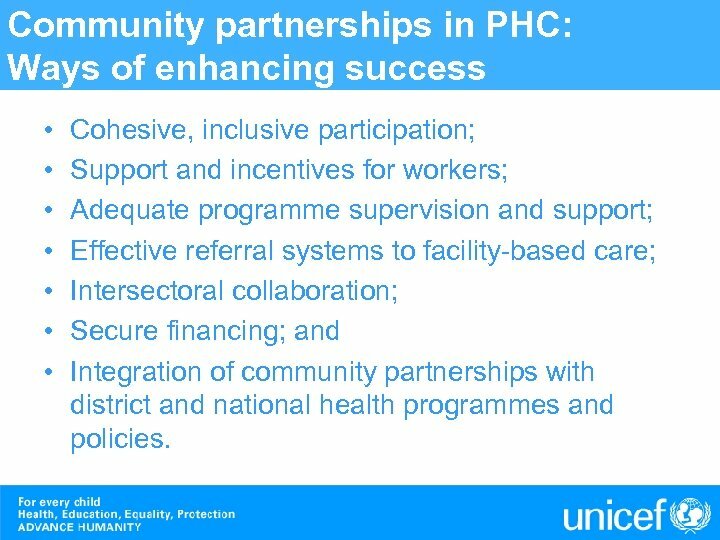 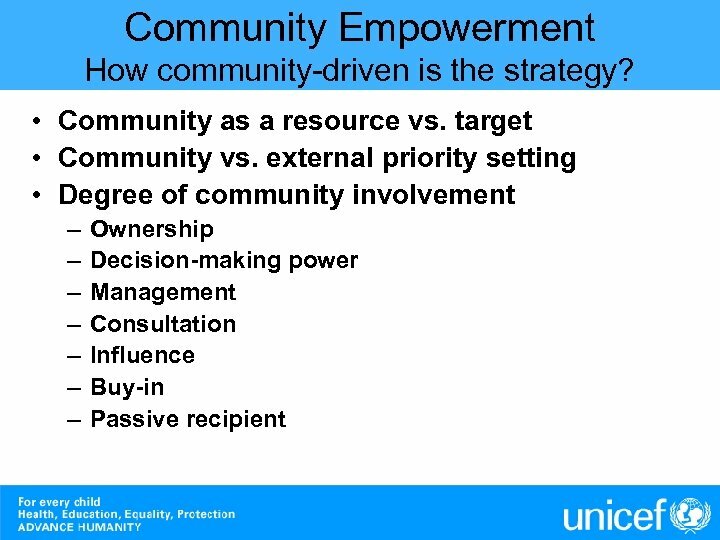 Community partnerships in PHC: Ways of enhancing success • • Cohesive, inclusive participation; Support and incentives for workers; Adequate programme supervision and support; Effective referral systems to facility-based care; Intersectoral collaboration; Secure financing; and Integration of community partnerships with district and national health programmes and policies. 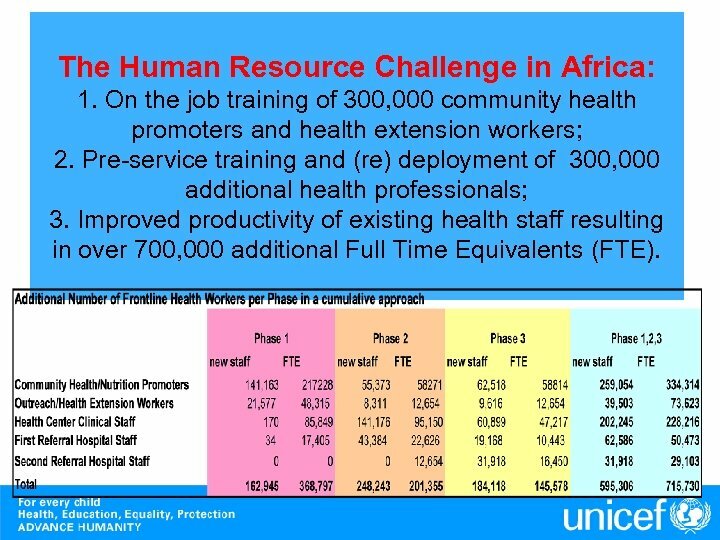 The Human Resource Challenge in Africa: 1. 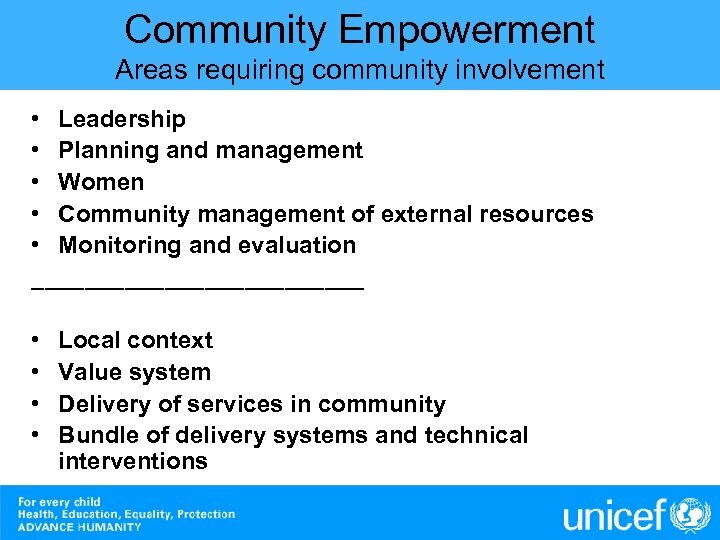 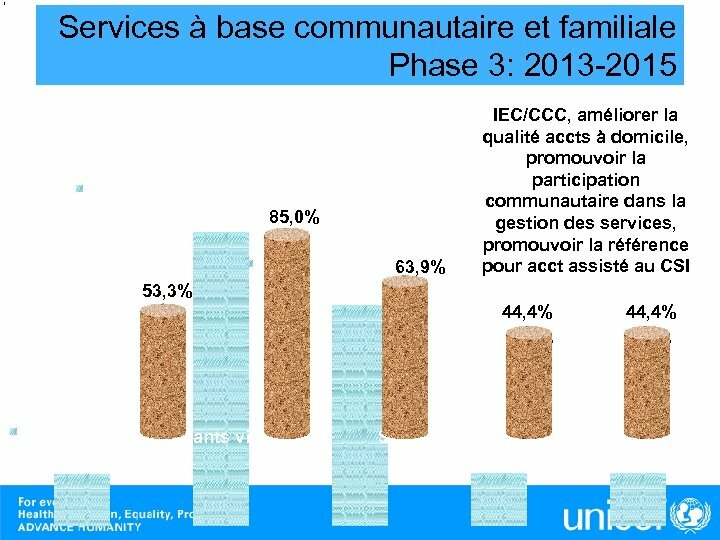 On the job training of 300, 000 community health promoters and health extension workers; 2. 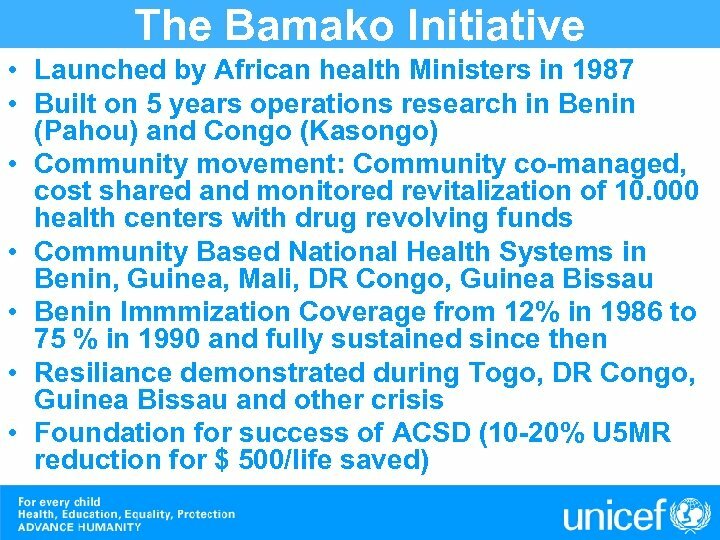 Pre-service training and (re) deployment of 300, 000 additional health professionals; 3. 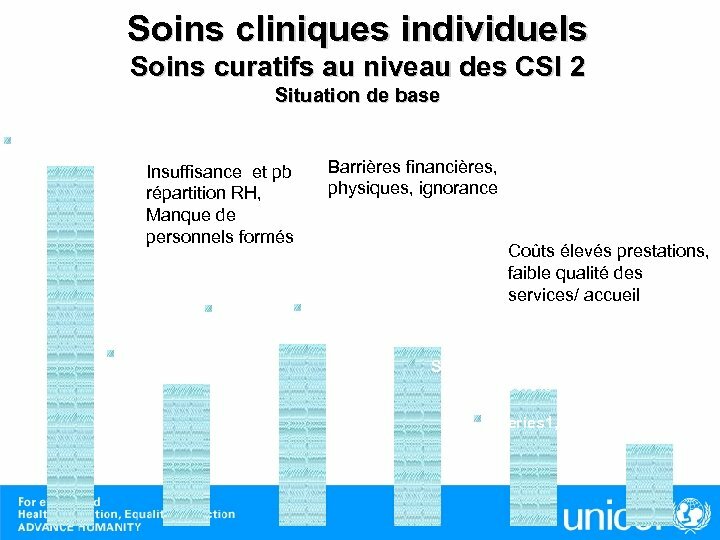 Improved productivity of existing health staff resulting in over 700, 000 additional Full Time Equivalents (FTE). 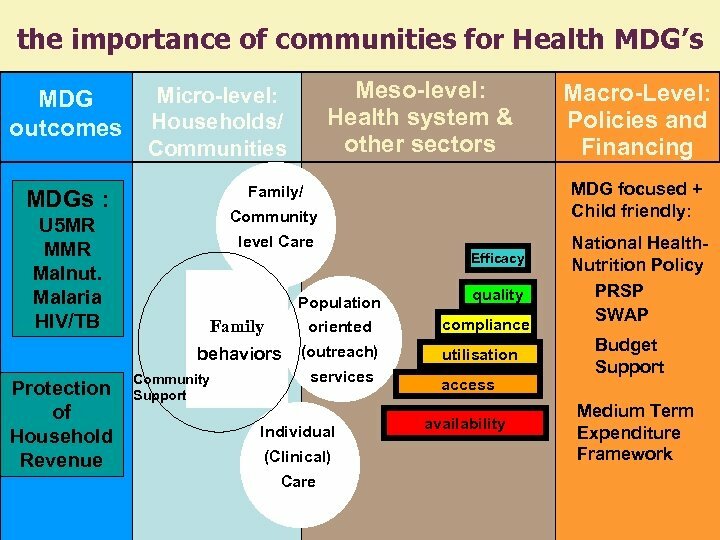 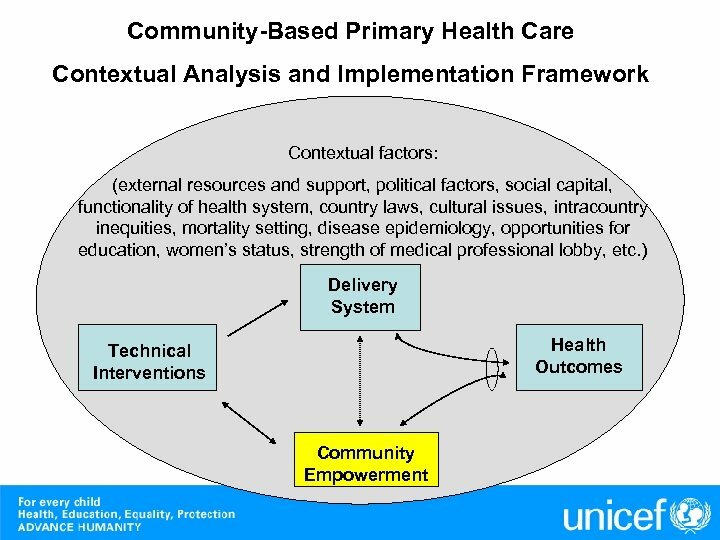 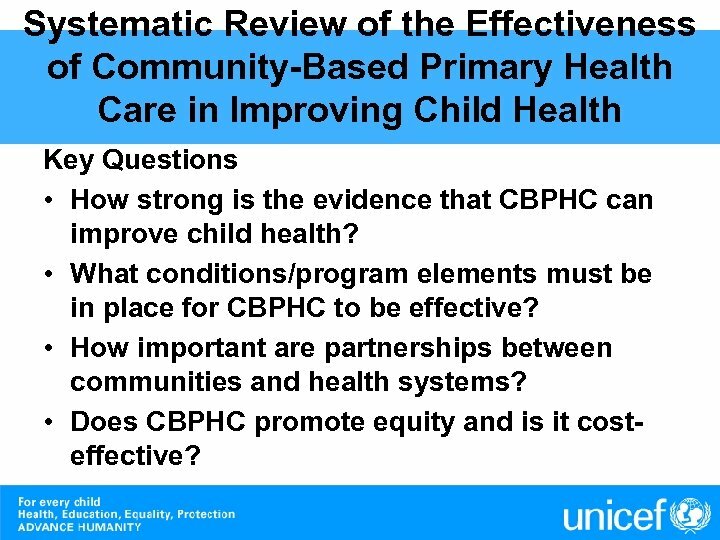 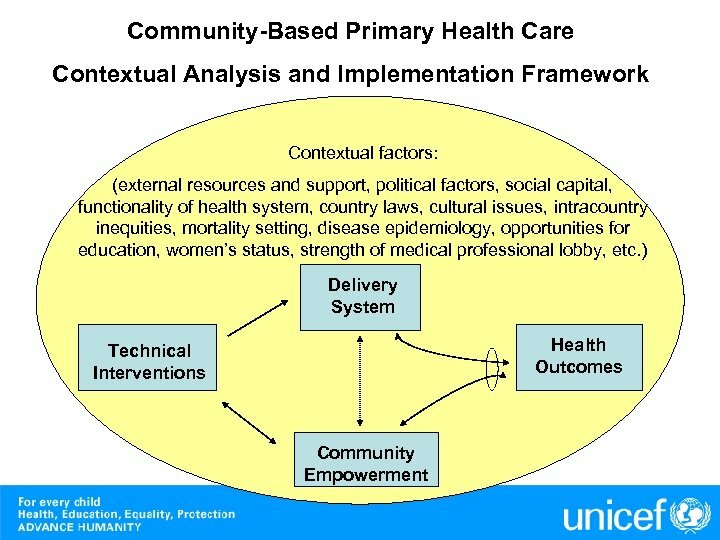 Systematic Review of the Effectiveness of Community-Based Primary Health Care in Improving Child Health Key Questions • How strong is the evidence that CBPHC can improve child health? 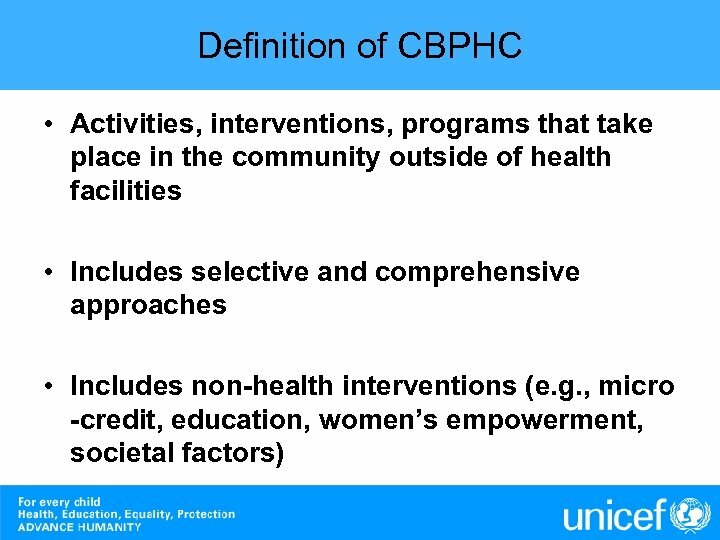 • What conditions/program elements must be in place for CBPHC to be effective? 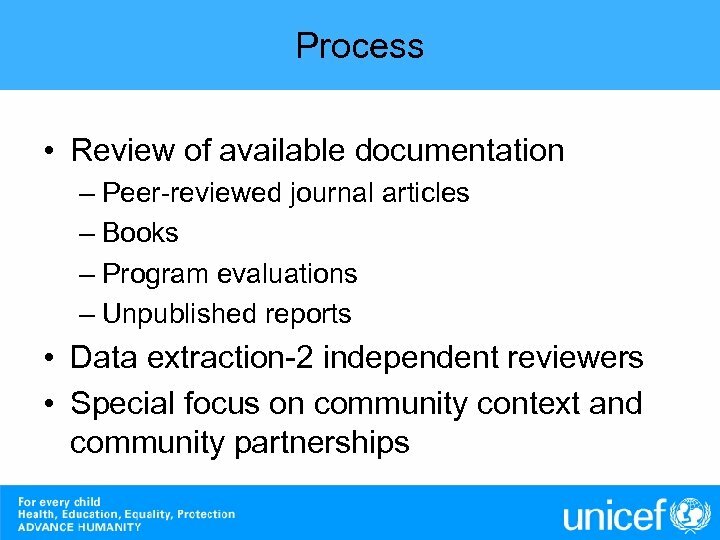 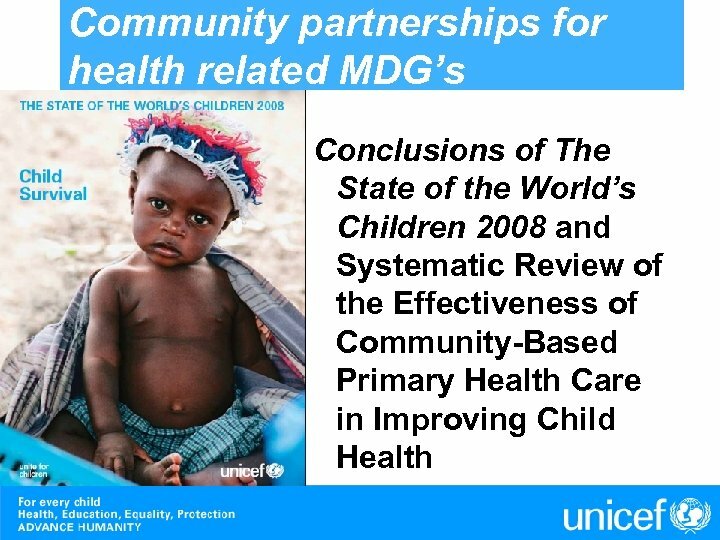 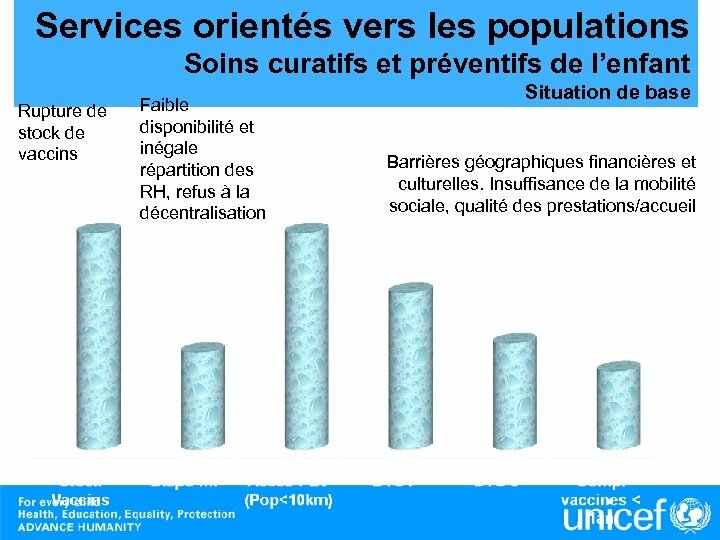 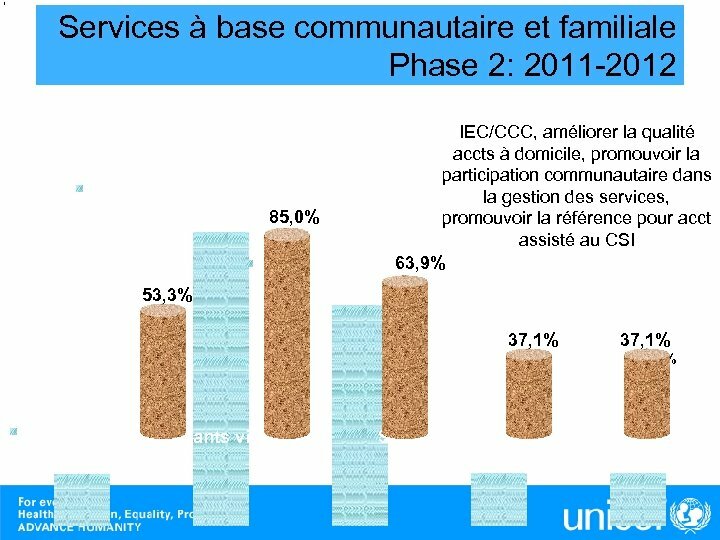 • How important are partnerships between communities and health systems? 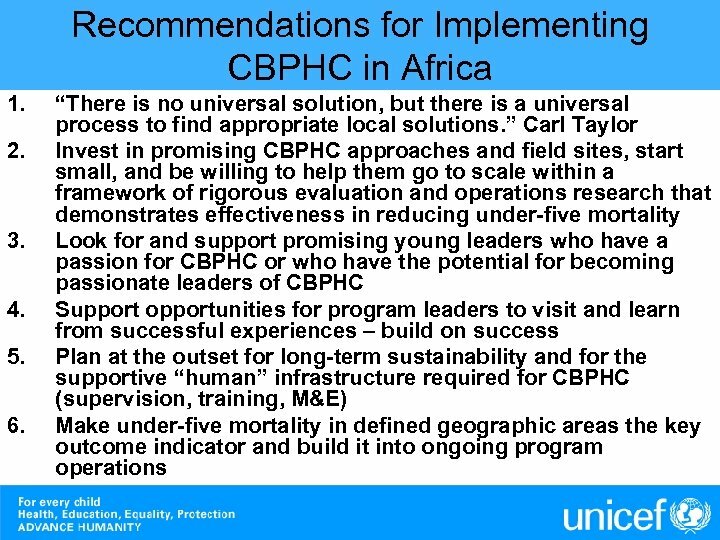 • Does CBPHC promote equity and is it costeffective?